On tonight’s show with Huck being held under the Patriot Act, Olivia and the team get unexpected assistance from an old friend. Meanwhile, Olivia helps Mellie out of a very compromising situation that could affect Fitz’s future, and her relationship with Edison reaches a boiling point. Guest starring tonight, Kate Burton as Vice President Sally Langston, Gregg Henry as Hollis Doyle, Debra Mooney as Verna Thornton, Dan Bucatinsky as James Novak, Norm Lewis as Edison Davis, Sam McMurray as Pat Wexler, Wendy Davis as Kimberly Mitchell, Susan Pourfar as Becky and Stoney Westmoreland as Hal. Tonight’s episode looks like it is going to be a great episode and you won’t want to miss it, so be sure to tune in for our live coverage of ABC’s “Scandal” Season 2 episode 10 at 10 PM EST! 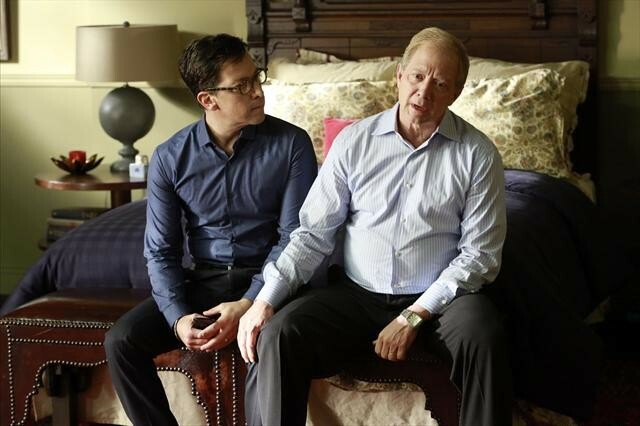 SCANDAL SEASON 2 EPISODE 10 LIVE RECAP HERE! Charlie Sheen Donates $12k To Justin Bieber Photographer’s Funeral: Will The Biebs Donate Any Money? Academy Awards Nominations Announced – Who Got Snubbed?